As I've mentioned on the previous page, there has been speculation about the points system and the order in which matches should be played in the Ashes Tournament following the change to a points system rather than deciding the whole thing on the outcome of a lone Test Match. Well, as one of my correspondents, Chris Langman, points out, there may be 'lies, damn lies and statistics' but one mathematical tool that can't lie is 'probability'. Actually Statistics don't lie, of course. Who 'lies' are the individuals who carefully select the data that goes in and then select which of the the results that suit them come out. Stats have thus acquired an undeserved reputation. If you want to learn more, and be amused at the same time (for instance to discover where, in fiction, is the murder rate the highest) try the BBC's excellent programme "More or Less". You could even learn why the claims by the two UK main political parties that we are "£1600 a year worse off" or "No we're not" are both accurate... Just carefully select the time period that gives you the results you want! But I digress (as always!). The England Academy players are returning from Sri Lanka and they will no doubt have had a fine time on that most attractive island. 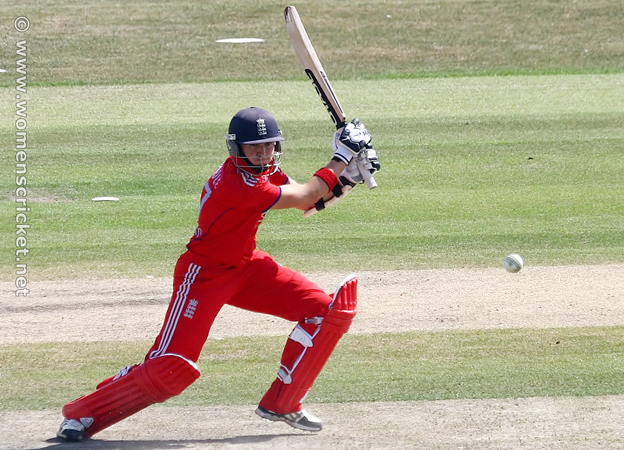 Tammy Beaumont has once again shown she can't be ignored when choosing an England squad and many of the youngsters have had a chance to face foreign conditions and foreign teams for the first time. 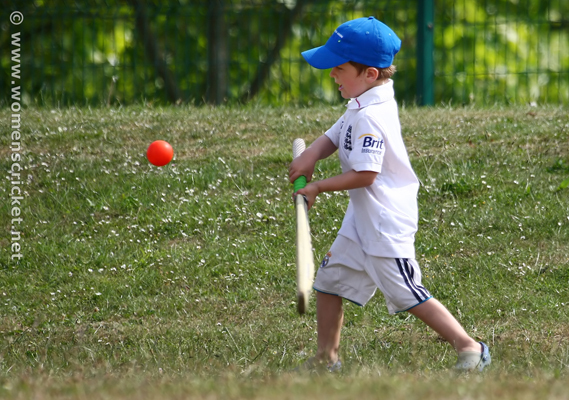 This is an invaluable learning experience and the ECB is to be praised for laying the tour on. 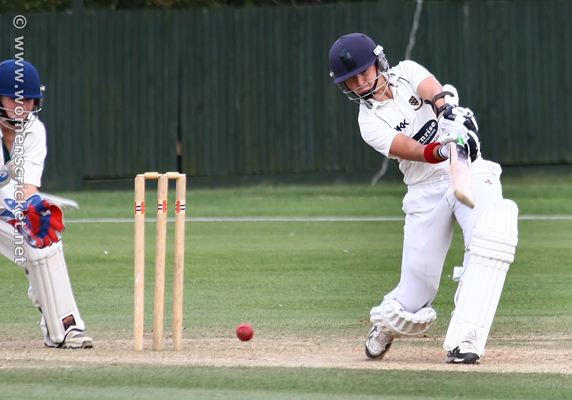 Today we hear that Arran Brindle has retired from international cricket. For a mother, the schedule must have been particularly gruelling. 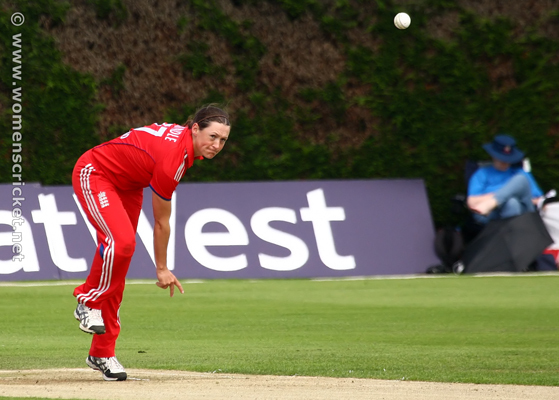 She has been a regular in the England side for some years and been a solid part of the middle order. For instance, her record shows she made more runs in the recent Ashes defence than any other in the side, an indication that her unassuming nature often hid her achievements. I will always recall a number of innings from Arran - the Test century at Hove saved England's bacon that day and her catch taking the wicket of Mithali Raj in the match against India in the 2005 World Cup in South Africa must rate in the top three catches I have seen in twenty years following this sport, sadly in a losing cause. She has always been a fine fielder. I also recall during that tour Arran showing, perhaps unwittingly, how South Africa could avoid the 'quota' system. Just keep coaching. 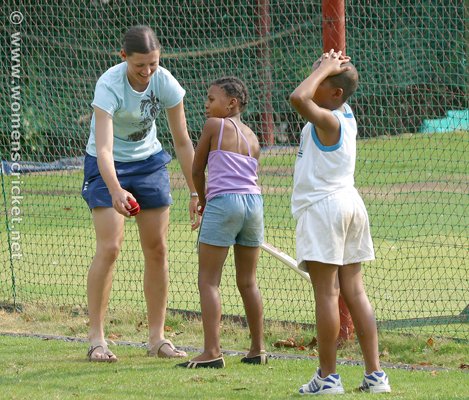 Her time here given freely to the next generation of South African cricketers. 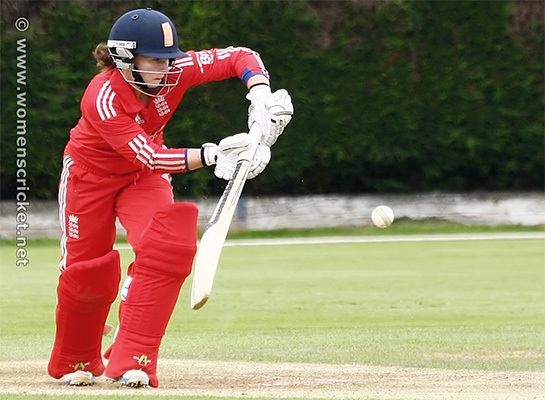 There can be no doubt England will miss her, not just for her exemplary fielding or her solid batting, but her ability to take wickets while bowling with only slight pace but considerable craft. England will struggle to fill those boots - Arran's that is!